Instantly connect staff and public safety personnel in an emergency. Keep track of children, colleagues, and assets from any location. Monitor buses and routes in real time. Link districts and staff efficiently over any device. 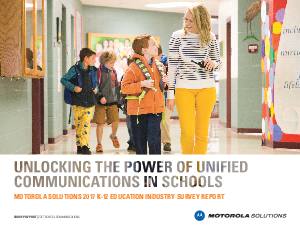 With Team Communications from Motorola Solutions, schools are safer and staff members are more productive.